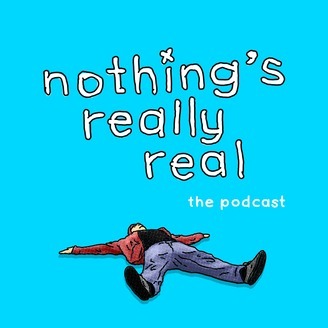 Nothing's Really Real is a podcast based out of Busan, South Korea, where we talk about art, music, comedy ... and anything else. Episode 50. My guest is Konner Blunt. He is the host of his own podcast based out of Daegu, The Blunt Report. Surprisingly, we hardly spend any time talking about podcasting, and end up having a really positive and flowing conversation about death, debating people online, our significance in the universe, and worry ... among other things. Konner was very thoughtful when he decided what story to tell for his memory if regret and I have a feeling he’s gonna bring a few of you to tears. The podcast is available most anywhere you might listen to podcasts, including iTunes, SoundCloud, Google Play or Stitcher. If you enjoy the show, please leave a review on iTunes, tell a friend about it, and remember I love ya.